After completing his M. V. Sc. And Ph. 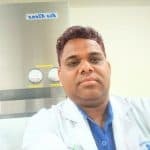 D. in Animal Nutrition from IVRI he worked with large organizations like Amul, Cyanamid India and BAIF. 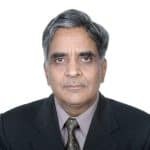 He has also been a consultant to the Indian Council of Scientific Research and National Dairy Development Board, Anand; as well as International organizations like the FAO and the World Bank. Having completed his M.V.Sc. and then a Ph.D in Veterinary Medicine, Dr. Swarup has over 3 decades of experience working with the Indian Council of Agricultural Research. He has been member and chairman of various committees of the Central Government and State Governments. 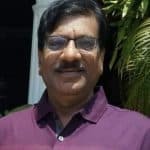 He has been editor of Indian journal of Veterinary medicine and is associated with several other prestigious Publications and has been president of the Indian Society of Veterinary Medicine. 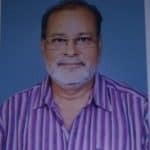 Recipient of several awards and honours including ICAR- Hariom Ashram Trust Award, Shri Ram Lal Agarwal National Gold Medal. Dr. Sirothia is a former professor and head of the Department of Animal Genetics and Breeding at Nagpur Veterinary College. He is a well known academician with over 137 research papers to his credit. He was honoured with the Breed Saviour Award by SEVA, NBAGAR, NBA and Honey Bee Network. 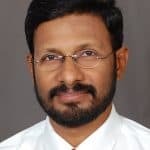 Dr. Kulkarni has a M.V.Sc. and a Ph.D in Vet. Physiology and Biochemistry, with an additional course in Journalism and Public Communication. He has authored several research papers and manuals, and brings his experience in Climatology and Migration studies to the team. With an M.V.Sc. and an M.S. 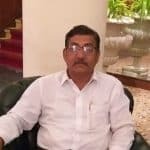 in Microbiology, Dr. Shingal held many positions with the Department of Animal Husbandry in Maharashtra, including Deputy Commissioner of Animal Husbandry (Virology) and Regional Joint Commissioner of Animal Husbandry, Latur. Dr. Shingal now runs a very popular blog and YouTube Channel . 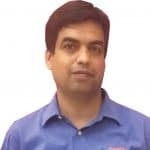 He is currently Inquiry Officer at government of Maharashtra. Dr. Deepak S. Kale has completed his M.V.Sc. & then Ph.D in Animal Genetics & Breeding & PDF in Functional Genomics at CCMB, Hyderabad. Dr. Kale has done pioneering work in Conservation Genomics & Animal Biotechnology. He was awarded Young Scientist Award at National Conference at S. K. Nagar, Gujarat in the year 2004. 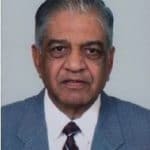 Dr. Srivastava has completed his M.V.Sc. and Ph. D. in Vet. Medicine, Ethics, and Jurisprudence. 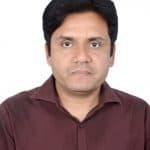 He is assistant professor at the College of Veterinary Science and Animal Husbandry, Mathura. He has several research articles and clinical articles to his credit. 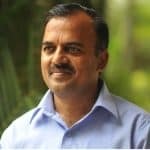 Dr. Gaikwad is an Extension Officer with Govind Dairy, Phaltan, with work on low cost loose housing farms, hydroponic fodder production, and other innovative dairy farming methods. He has been awarded the Best Extension officer award in the year 2013. He brings to the team his experience in the Indian Dairy Industry. 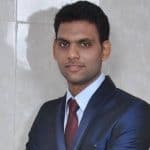 He is responsible for the execution of strategy, the blog and quality control of the directory entries, along with coordination between the team members and administration.